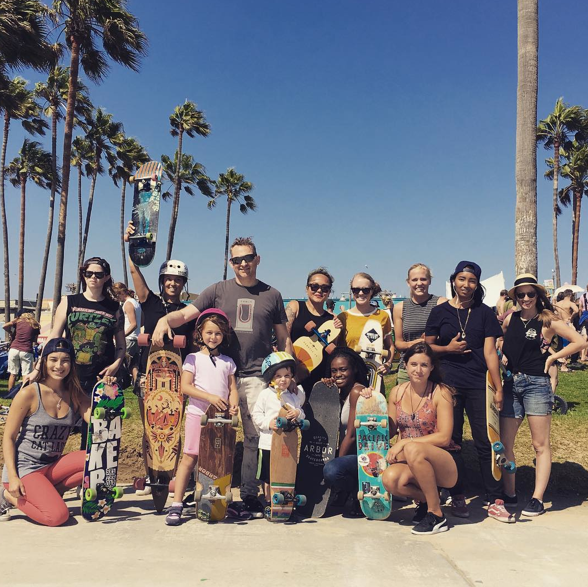 Another fun #Push2Progress with the Arbor Girls at Venice Beach thanks to the hardest working Arbor Girl in the world Tara Tate. Above she’s representing with her legs. Whiskey Legs that is by Malika Favre. I’ve always loved the art on Arbor Boards and am especially excited about the Legs series because Malika is a French illustrator & art director based in East London and I love her work. If you haven’t checked her collaboration out on Arbor – go right after finishing this post. Where am I in the picture – late as usually. Probably stuck on the 405 when they took the shot. 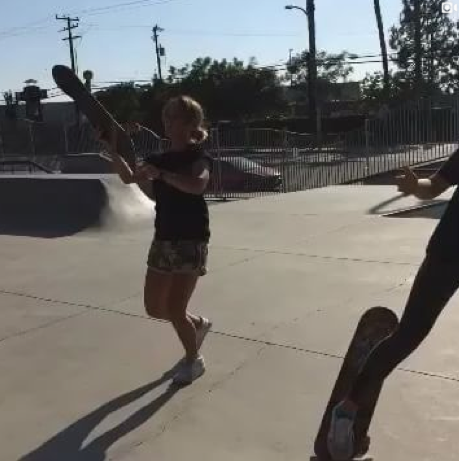 No worries Arbor Girls are there for each other – so those who could stayed & skated with me. 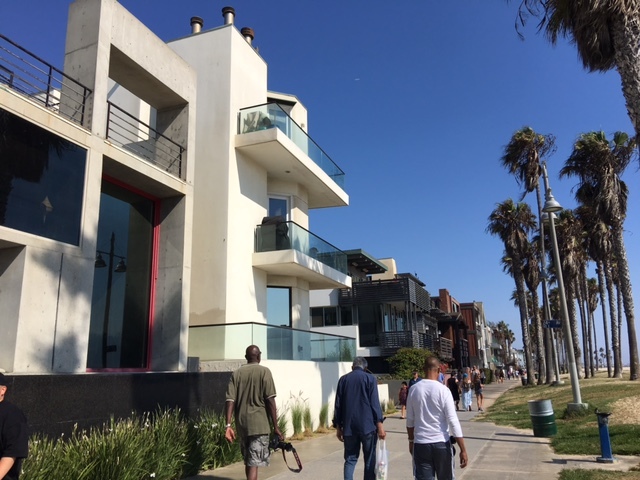 If you haven’t been to Venice Beach it’s worth the trip – yes even if it becomes a 3+ hour adventure from Cardiff where I live. 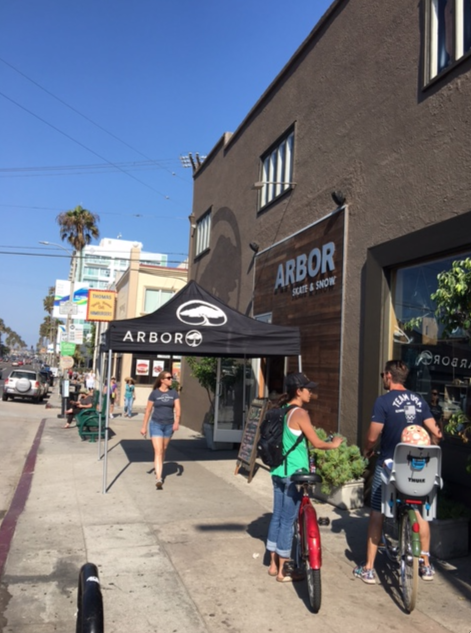 Very skateboard friendly all over the boardwalk & city plus there’s an Arbor Store. The day of Push to Progress – there was a backyard sale – so of course worth the trip. They sell Arbor and they also sell other brands too – all very stylish for on & off the board. 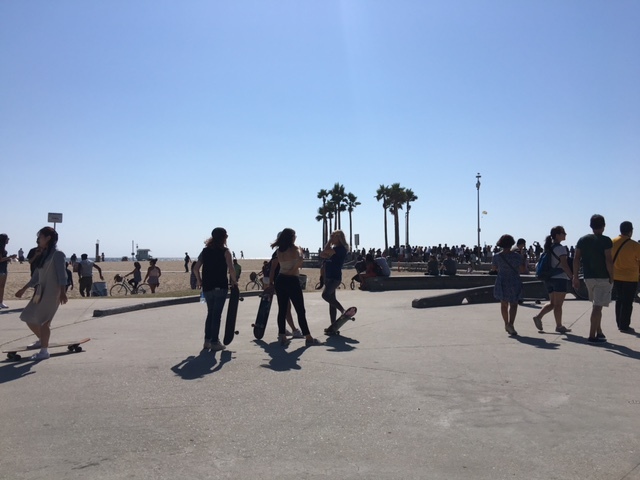 Below some pictures of shenanigans with my Arbor Girls and some shots of Venice – because you really don’t know what you’ll see. Above “sword fighting” & interpretive dance with Tara – it’s a video so click on it if you dare. Below which one of these is Jim’s beautiful home? 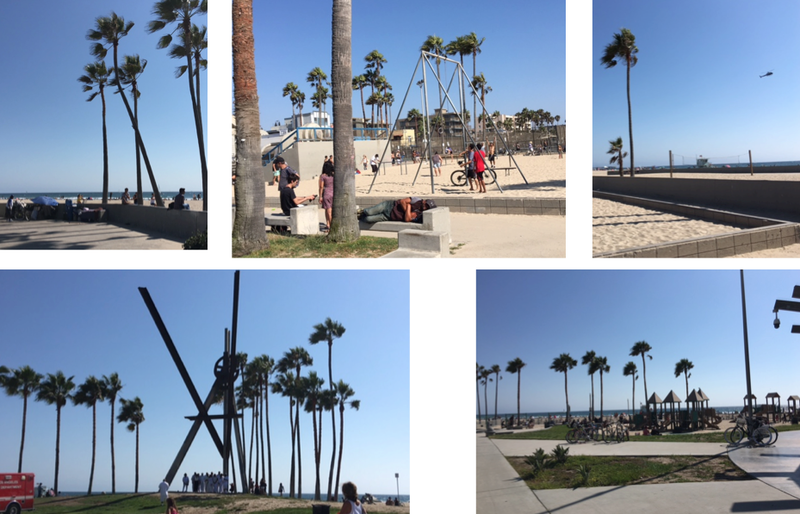 You might see a wedding – beach volley ball – playgrounds – ?? ?